Flight Centre managing director Graham ‘Skroo’ Turner has spoken out about the recent ABC investigation that raised questions about staff pay and a culture of bullying. Meanwhile, Flight Centre shares have taken a hit despite the company reporting a record-breaking full-year result with profits up by 13.9 per cent to $262.9 million. The Sydney Morning Herald reports shares were down 8.8 per cent to $61.22. Speaking to the Australian Financial Review, Skroo questioned the investigation’s timing as the Australian Services Union (ASU) is working on an enterprise bargaining agreement for the travel giants staff. “The ABC and the [Australian Services Union] are in each other’s pocket on this,” he said. However, ASU assistant national secretary Linda White told AFR claims of collusion with the national broadcaster were “untrue and far-fetched”. Skroo also dismissed the claims that consultants regularly added excessive markups of up to thousands of dollars, targetting older or wealthier customers who were less likely to shop around. “We employ 10,000 people in Australia. I can’t rule out that nobody will ever do the wrong thing but if we catch someone overcharging, they get a warning, and next time they are dismissed,” he told AFR. 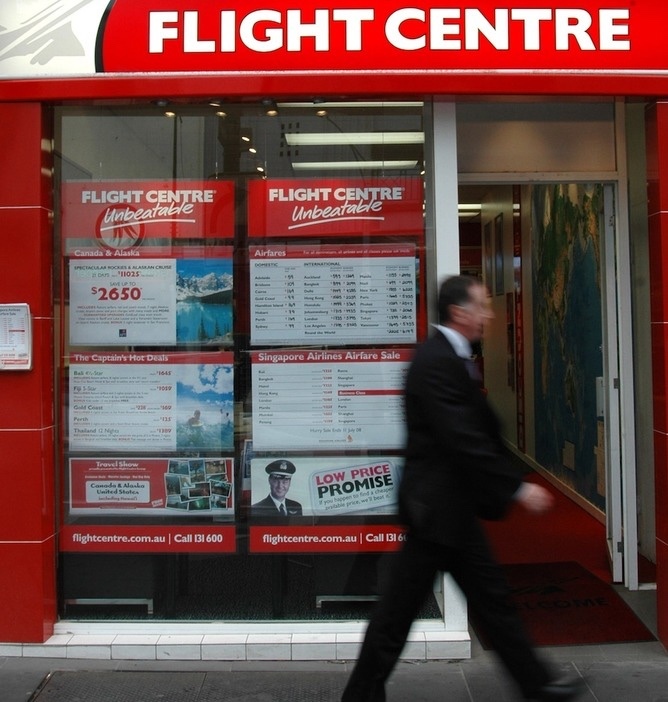 “I’m not worried about Flight Centre’s brand – although it’s undeniable there will be some damage – but I am worried about all this reflecting very unfairly on our frontline staff,” Skroo said of the controversy. He also said the sources the ABC used in its investigation hadn’t worked for the company in years or had “failed in their jobs” and did not represent the majority. The ABC claims more than 500 current and former Flight Centre staff and customers have contacted them since the story was published to support their findings. Exclusive with Silversea MD Adam Armstrong: "Growth is my middle name"
…. fc boss graham turner instead of reaching out to those aggrieved workers he maliciously labelled them as ‘failed in their jobs’ workers…… in short losers…. 500 complaints is no joke… they may not represent the majority but they are humans , they’ve got feelings too……….how inconsiderate, insensitive and heartless you skroo….